This year the Credit Union supported the initiatives of local marathon teams in the communities we serve. Here’s a little background on our Harvard team, their initiative, and the organization they support. 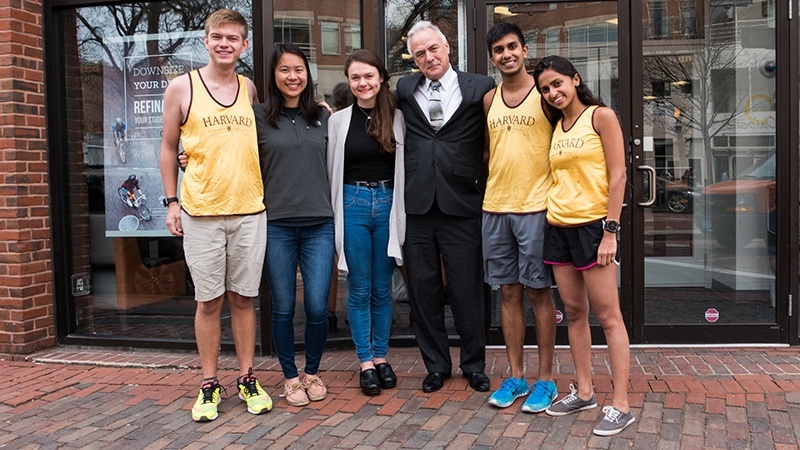 Harvard College Marathon Team students Avinash, Kruti, Naomi, Joyce, and Will are part of the Harvard team who will be running in support of the Phillips Brooks House Association, student-run Harvard-based charity that operates over 70 programs serving Boston-area youth and families. Additionally, the Credit Union supports the following teams and their efforts in raising funds to support programs and initiatives for emergency preparedness and groundbreaking research to provide world-class care for patients here in Boston and around the world. We wish all the runners the best of luck in running Boston’s 121st Marathon.